Join us in celebrating the works and combustible collaboration between acclaimed artists Willie Bester and Wolf Werdigier as they defiantly throw open the furnace to create an alchemic journey through art, melding their passion with an interrogation of historic forms of silencing, censorship and disruptive socio-cultural injustice, toward purging and releasing ancestral trauma of the past. Curated by Beathur Mgoza Baker. The opening is on Wednesday 13 March at 6:30pm and the exhibition runs until 24 April 2019. 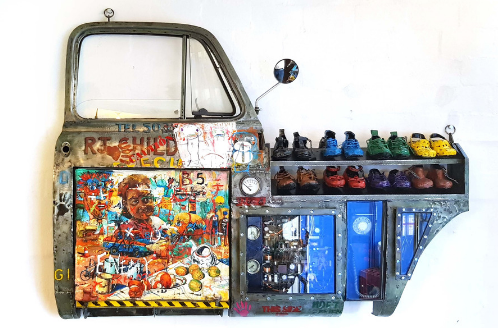 Panel discussion and walkabout 14 March 2019, 17.30 - 19:00 pm at The Melrose Gallery. All are welcome. 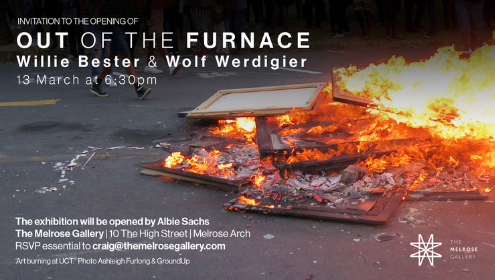 The Melrose Gallery is pleased to invite you to the opening of the exhibition: `Out of the Furnace’ which is the culmination of months of collaboration between two celebrated contemporary artists and thinkers. 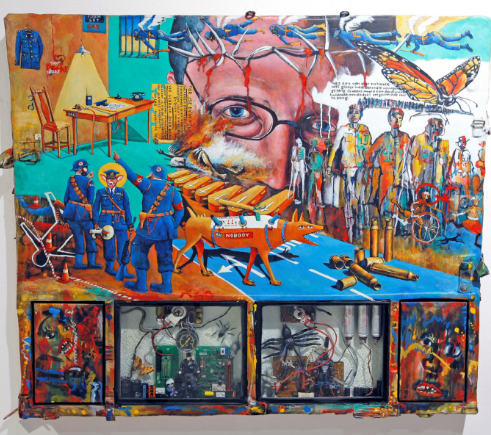 The combustive creative journey of these two renowned artist and social justice activists represents a deeply immersive and reflective process which has resulted in a powerful body of new and older works that is both triumphant and challenging, topical and celebratory. Artist Wolf Werdigier studied architecture in Vienna and London as well as painting and design with Jaap Bakema, Xenia Hausner, Jakobo Borges, Herman Nietsch, Markus Lüpertz. Works include urban designs, installations and city interventions. Visiting professor at the Pratt Institute of New York and at the University of Stuttgart. Works in the area of interactive art and paintings with exhibitions in Vienna, Barcelona and Vieussan, France, New York, Jerusalem, Philadelphia, Venice. Since 2003 he has been the director and is also the founder of the International Summer Academy of Fine Arts & Media in Venice. 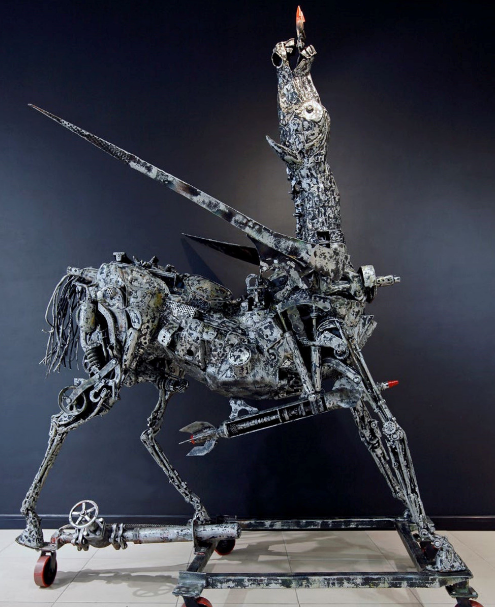 He is also the co-founder and artist of the Produzentengalerie Wien.